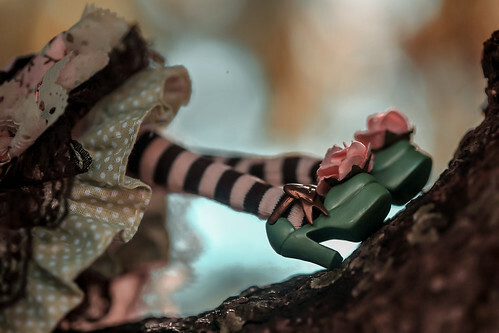 This Alice du Jardin Pullip (Mint Ver.) is a special version of the original Alice du Jardin Pullip. Alice du Jardin means “Alice’s garden” and thus, inspired by the beauty of gardens, her dress features a beautiful floral print and both her shoes and headdress have pretty pink flower accents. She comes with her complete outfit as well as a headdress, mini bunny plushie, and doll stand.